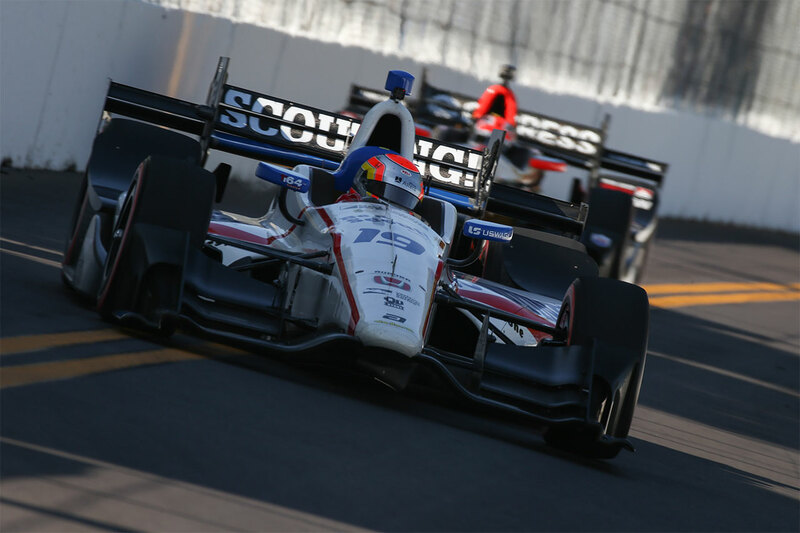 Ed Jones proved to be immediately at home on his Verizon IndyCar Series bow around the Streets of St. Petersburg last weekend, as the talented Dubai, UAE-based ace graduated to the pinnacle of US open-wheel competition in fine style by running firmly up at the sharp end en route to his maiden top ten finish. 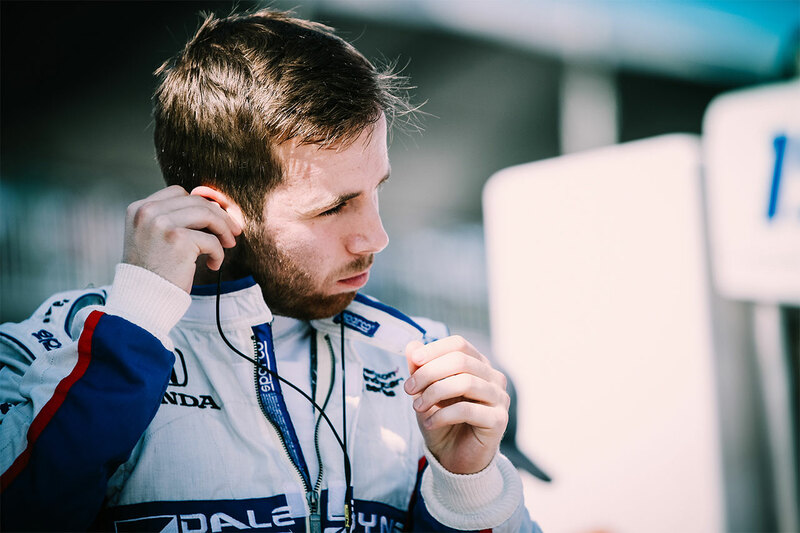 Jones has stepped up to the fiercely-disputed IndyCar Series with Dale Coyne Racing in 2017 after sprinting to the Indy Lights laurels last season. 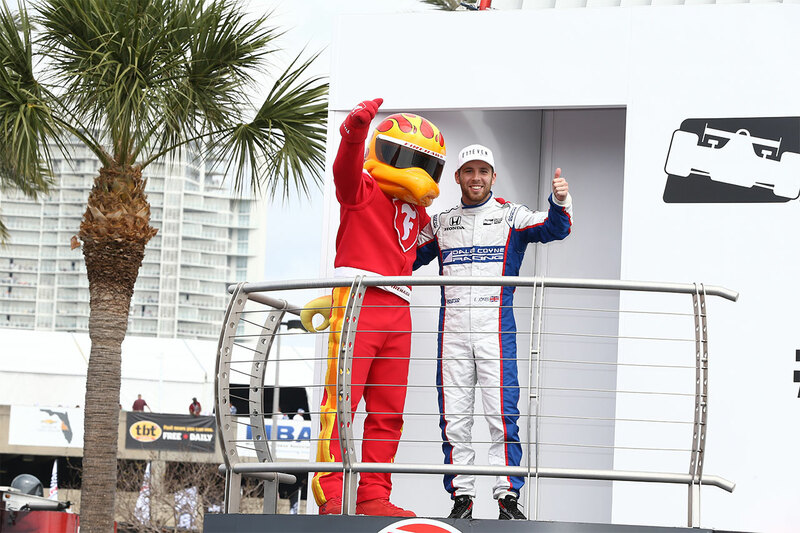 Following a productive winter testing programme, he arrived in Florida – scene of an eye-catching double victory on his US racing debut two years earlier – ready to showcase his skill in an extremely high-calibre, 21-strong pack comprising some of the very best single-seater exponents on the planet. As the only full-time rookie in the field, the 22-year-old Brit adopted a mature approach throughout practice, taking care not to try to run before he could walk around the bumpy and narrow, notoriously unforgiving street circuit that caught out a number of his rivals – all the while edging consistently closer to the outright pace. 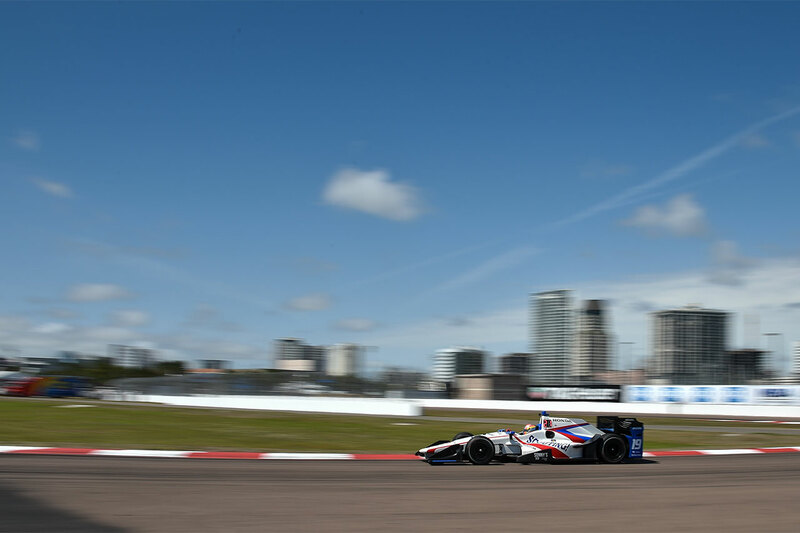 Jones proceeded to line up 18th on the starting grid in his 720bhp Dallara-Honda, just four spots and barely a tenth-of-a-second behind defending title-holder Simon Pagenaud – but when the lights went out in the Grand Prix of St. Petersburg the next day, the former European F3 Open Champion found himself tagged and pushed into the car in front in an opening lap mêlée, prompting an unscheduled pit visit to check for damage. Happily, the #19 entry was still fully intact and once the action resumed, Jones began working his way up the order. Confidently holding his own in illustrious company of the ilk of three-time Indianapolis 500 winner Hélio Castroneves, former IndyCar Champion Ryan Hunter-Reay and his ultra-experienced, multiple title-winning DCR team-mate Sébastien Bourdais, he proved to be completely unawed by his adversaries’ formidable reputations. His first planned refuelling stop on lap 25 fortuitously coincided with a full-course caution period for debris on the track, elevating the Williams-Harfield Sports Group protégé to fourth. 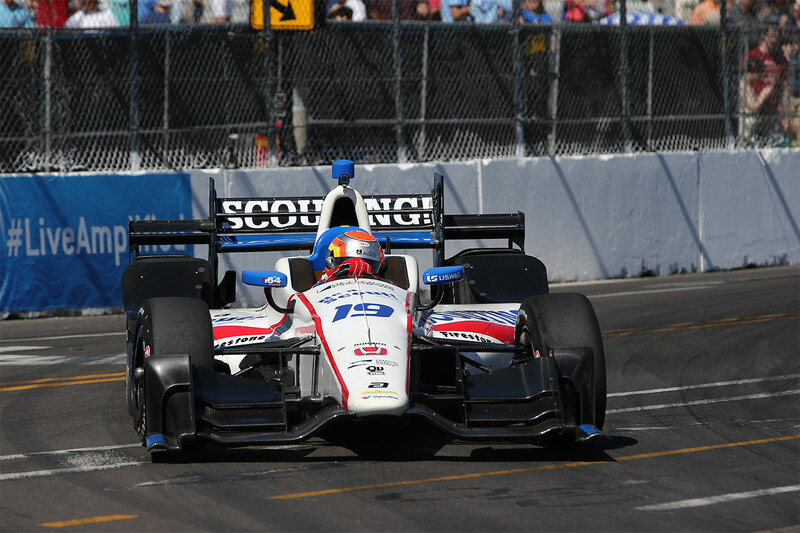 Shortly after the re-start, he superbly snatched third place from Marco Andretti into Turn One and maintained that position right through to his next pit-stop more than 20 laps later. Jones continued to run impressively inside the top five until he pitted for the final time with 26 laps to go. Rejoining the fray down in 11th, he fought back into the top ten before the chequered flag to cap an excellent performance in what was a long, mentally gruelling and physically punishing encounter – in so doing, consummately demonstrating that he unequivocally belongs at the highest level. “Pre-season testing went pretty well and I felt very comfortable in the car arriving in St. Petersburg, even though I hadn’t had that much seat time,” he reflected. “I’ve been working well with the team and get along with everyone there. 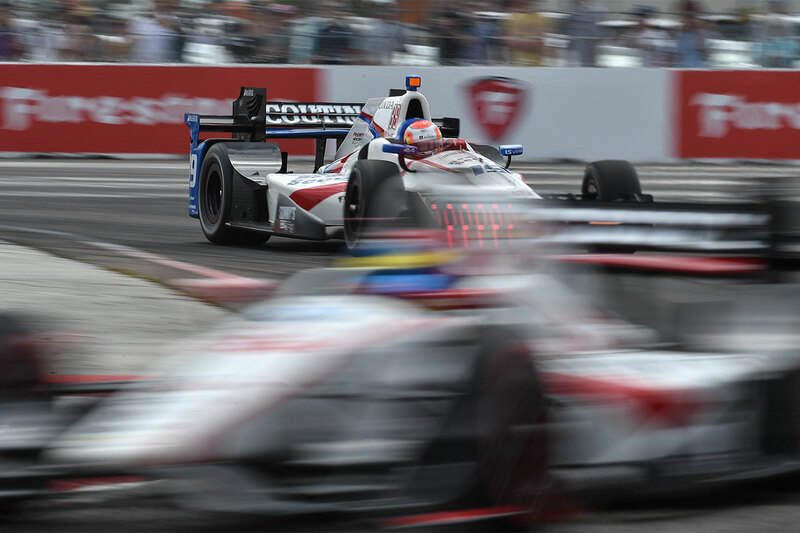 Until the first race, it’s always hard to know where you stand against the opposition because there are so many variables, so we had no solid expectations for the weekend but what was clear was that Dale Coyne Racing had taken a massive step forward from where they were last year. “I’ve always loved street circuits and St. Petersburg is a great track. 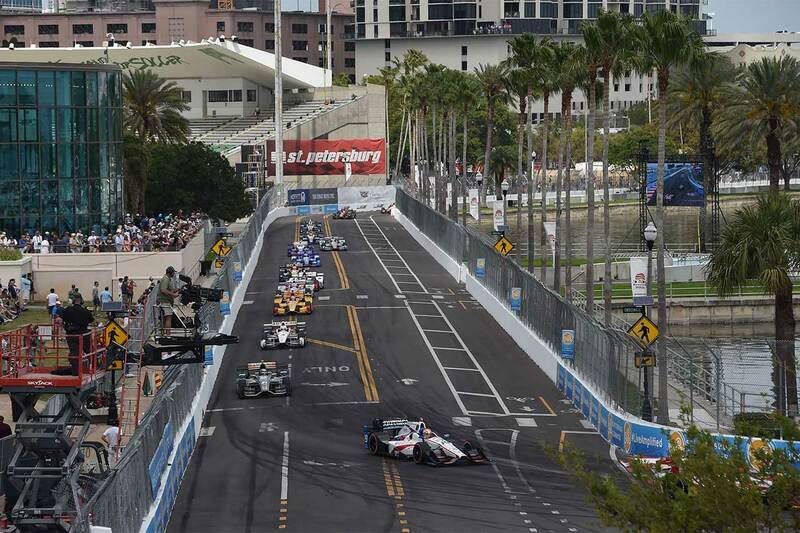 It’s where I made my debut in American racing and it was a perfect debut, so I have good memories there. The infield section is very technical and quite tight and then it opens up a bit towards the main straight. “Practice went well; it was challenging, but I learnt a lot. Everything is a bit better compared to what I’ve been used to in an Indy Lights car. You’re faster, you’re braking a lot later and there’s more corner speed. 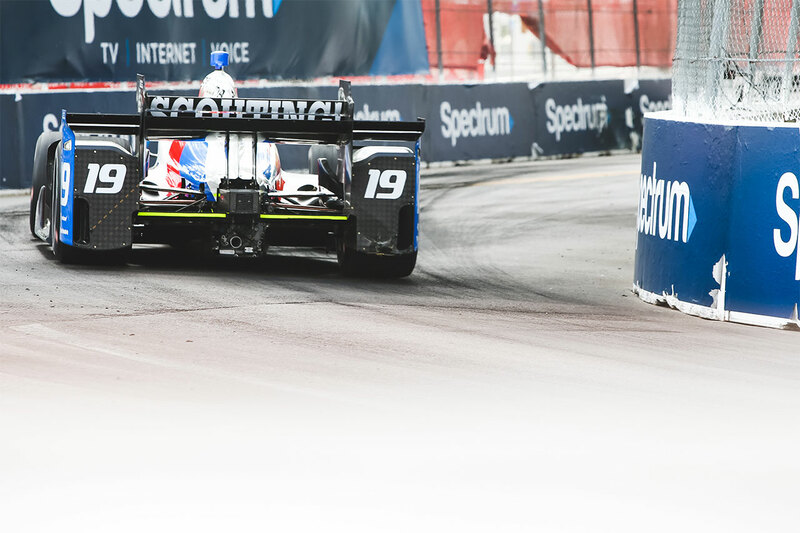 On a street circuit, it’s tough to manage that at first because the margin for error is so small. As much as you want to push as hard as you can and find the limit, you also don’t want to lose any track time by putting it in the wall. That’s a difficult situation, but I think we handled it well. 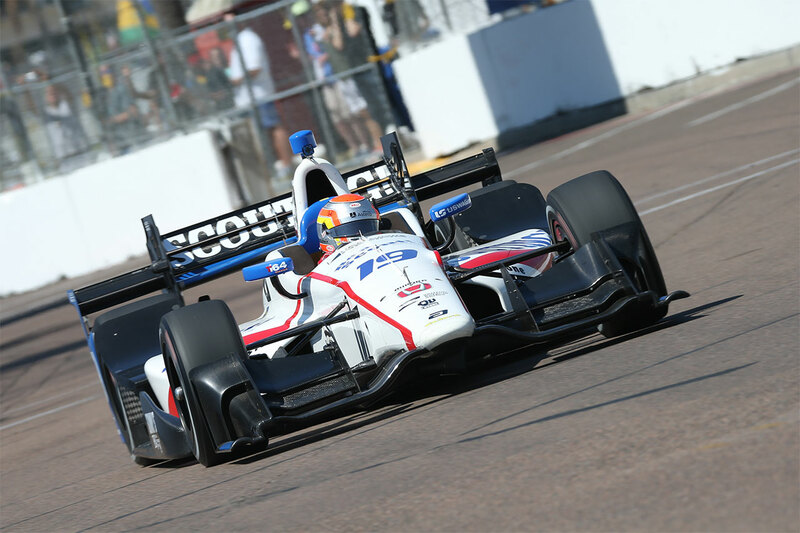 “I was really excited for my first IndyCar qualifying session, though it was a little frustrating that the red flag came out early on. That meant I didn’t get to have an initial go on the Firestone Reds, so I didn’t really have time to adapt and had to go straight out again on a new set and push from there. For me, it was a bit of an unknown how the jump was going to be and by the time I realised how much deeper I could go, the tyres had already started falling off their best.